Formerly known as the Burlington Northern Train Depot, the Burlington Northern Railroad (B.N. ), Northern Pacific (N.P.) and Union Pacific (U.P.) built the depot in 1906. This building is a primary contributing element of Butte's National Historic Landmark District. Of Butte's surviving rail stations, its railway setting and external appearance is least altered. The site consists of three structures of nearly identical style; the center building was the main depot, a west building (formerly baggage rooms) and an east room (formerly restaurant and freight). Purchased in the spring of 2000 by Tom & Janel Madrazo, the Front Street Station had not be in use since 1979. Most of the stately columns are still in place, as is the terrazzo tile that covers the floor and part of the walls. Large windows and frames of dark wood take you back to the passenger trains' heyday. 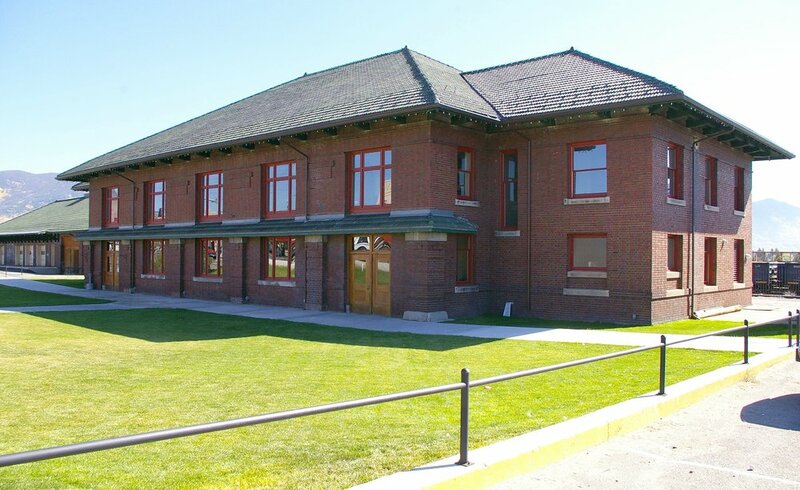 It is said that all the soldiers from Montana who went off to fight in WWII left through the Burlington Northern Train Depot. Franklin Delano Roosevelt was a candidate for president when he visited Butte for three hours Sept. 19, 1932. He delivered a 10-minute talk on the steps of the Silver Bow County Courthouse. He also visited Butte Aug. 18, 1920, when he was Secretary of the Navy. He is pictured in the Anaconda Standard on the steps of the mansion at 829 W. Park. 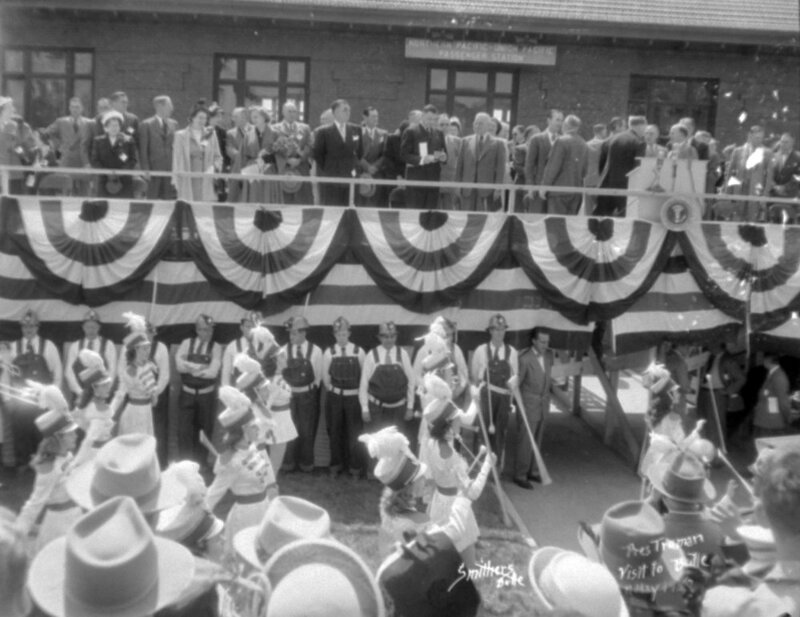 President Truman came to Butte three times: June 8, 1948; May 12, 1950, en route on a 6,400-mile "report to the people" train tour; and Oct. 26, 1956, as a former president, arriving on Western Airlines and giving an address in the Butte High auditorium seeking support for Adlai Stevenson and Estes Kefauver.